Someone’s hand signing a last will and testament. Photo courtesy of Shutterstock. Pursuing a course in law is not unusual as it is one of the earliest subjects. What is unusual is pursuing a course in writing wills. Though wills could be made by any person and does not require any special qualification, people prefer to get it written by professionals. It is undeniable that a scholar in law is more equipped to scripting a will than a layman. Most students studying law aspire to become solicitors, barristers, or paralegal professionals. Writing a will could be considered a paralegal activity being practised more by fresh law graduates. It actually is a stepping stone for larger assignments in the future. Why is will writing a good exercise for larger assignments in the future? Will writing requires sound knowledge of a language, for instance English in a predominantly English speaking country. Wills are essentially documents, and documentation is the mainstay of the legal profession. Improper or incomplete documentation is never acceptable in this profession, and the best way to hone your skills as a writer is to begin with writing wills. Should wills be written independently or under guidance? Scholars after graduating in law and aspiring to become barristers or solicitors begin their careers as juniors in a solicitor firm or legal consultancy services. Few years are required for acquiring the expertise of becoming a complete law professional. This hand holding period is crucial for legal professionals and must never be taken casually. As will scripting is a good exercise it should be done in all seriousness. In the initial stages drafting should be done under the guidance of a senior. Mistakes if any could be rectified before the final will is prepared. Care must be taken that the final will is free from any mistakes or deficiencies. How does will writing help aspiring lawyers? 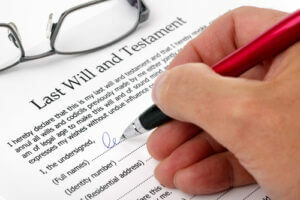 A will is a legal document and binding upon its beneficiaries. A will is not a decree and could be contested. Contesting a will is a legal procedure that could only be done in a court of law. For an aspiring lawyer drafting a will could be just the beginning of a long drawn process if it is contested. Can writers of wills become law professionals? Writers of wills might become lawyers if they are serious and guided properly. It is very unlikely that a will writer stays thus throughout his career. For a serious law student, will writing should not be taken up as a full-time engagement. Perhaps it would be prudent to practice the art of scripting wills just after graduating in law or during the initial phases of your professional career. Are there any specialised will writing courses? Lately many of the law schools have begun specialized classes in scripting of wills. Course contents are divided into: will instruction taking, will writing, and probate procedure and practice. Many institutes offer a provisional practising certificate for future use. What are the employment opportunities of a will writer? Wills are important legal documents that entitle heirs to their properties, estates, rights, and duties. In the absence of a will, transference of rights becomes a troublesome process. Scripting of this document has thus assumed great significance in today’s society. Most legal consultancy firms have specialist will writers. Not only home owners, even business owners make descendancy provisions for their heirs through wills. Will writing is thus very important and jurisprudence firms have opportunities for writers. This is a paralegal service which could also be performed independently. What are the pre-requisites for taking up will writing as a course? High school pass outs with an interest for law are eligible to study this course. About the author – Anthony Underwood is a corporate and tax lawyer. In addition to having his own office he also is a consulting law officer for several companies. He has an uncanny interest for new subjects and the latest among them is ‘contesting a will’. Anthony also is a frequent blogger.